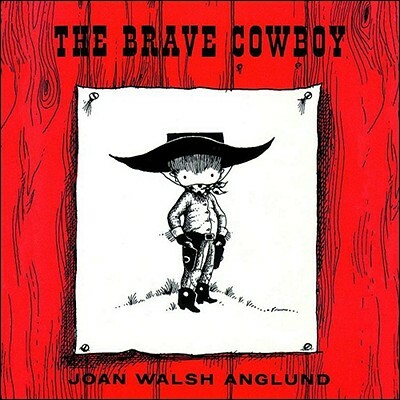 Reanimating a classic, Joan Walsh Anglund adds her beautiful line drawings to the timeless story of a young cowboy--a perfect gift for children. This adorable gift book for children features Joan's black and red line drawings on cream-colored stock. The red illustrations represent the brave cowboy's imaginary world of bandits, rattlesnakes, stagecoaches, and fair maidens. Joan's inspiration for the main character came from her son when he was about three years old. Author and artist Joan Walsh Anglund has sold more than 45 million children's and adult gift books worldwide. She is best known for her writing on the themes of love, spirituality, and friendship. She has published more than 95 books, including Andrews McMeel's The Brave Cowboy; Love Is the Best Teacher; My Sister, My Friend; A Patchwork of Love; A Christmas Alphabet; Between Friends; Happy Birthday; You Are Loved; and Baby Dear. She lives in Connecticut with her husband.